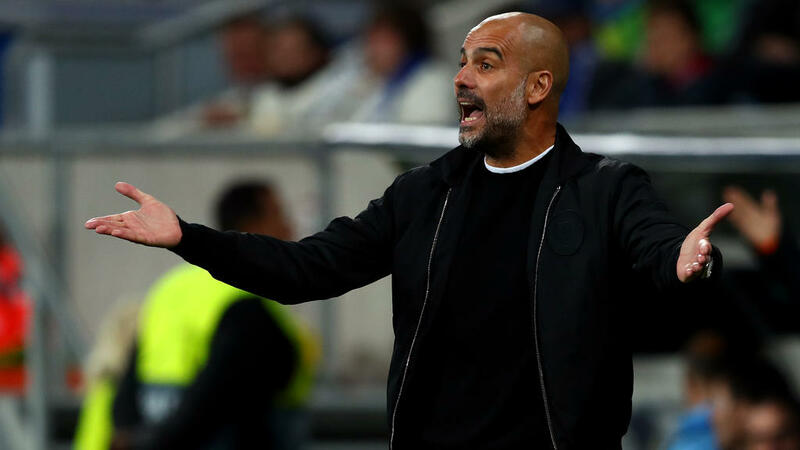 Pep Guardiola described Manchester City's 2-1 win at Hoffenheim on Tuesday as one of his happiest days at the club and he believes key lessons learned from the away win will bring his side future Champions League success. David Silva's late goal sealed the away victory as City got their Champions League campaign back on track after the shock 2-1 defeat at home to Lyon a fortnight ago. Silva poached the winner with just three minutes left and Guardiola was delighted with his team's fighting spirit and patience against Hoffenheim's dogged defending. City were sleeping as they fell behind after just 44 seconds through Ishak Belfodil, but Sergio Aguero quickly equalised before Silva's late strike, stealing the ball away from Stefan Posch to score and earn a deserved win. "Losing at home (to Lyon) made things tough and conceding so early (at Hoffenheim) was hard, but we fought against everything today," said Guardiola. "We have to live this kind of situation, the previous two seasons weren't easy to qualify, but we still went through with one or two games left. "I think it will come down to our final game this time. "This competition isn't always a red carpet. Manchester City is a fantastic club, but we don't have a history of having to fight and we fought for absolutely everything here." Having steered City to the quarter-finals last season, Guardiola said what his team learnt in Hoffenheim will help in the long term. "I am pretty sure what we have learnt here will be good for us in the future," he said. "This isn't like the Premier League or the Bundesliga, all the teams here are so good and they are so hard to beat. "We are a step below the history in Europe of Liverpool or the Spanish teams or Bayern Munich or Inter Milan. "We have to do this step by step. This is one of the happiest days I have had at this club as it will help us going forward." Back on the sidelines after serving a one-match ban against Lyon, Guardiola leapt off the bench in rage when City were denied a late penalty after Hoffenheim goalkeeper Oliver Baumann brought down Leroy Sane in the area. However, the Spaniard point-back refused to talk about match referee Damir Skomina. "I don't want to talk about officials," insisted the City boss. Guardiola heaped praise on watch-winner Silva, 32. "He is one of the best players I ever trained in my life," said Guardiola. "I had a lot of special players at Barcelona and Bayern Munich, but he is on the list. "He is the sort of player who steps up in the difficult moments and he deserves all of my respect." The teams meet again in Manchester in the final round of matches in December and Hoffenheim head coach Julian Nagelsmann, just 31, said the defeat gives them something to build on. "It was really impressive how we came out after half-time," said Nagelsmann, whose side had two clear chances after the break when Belfodil and Florian Grillitsch both went close. "We created some good moments going forward and doing that against a side like Man City is something we can build on."